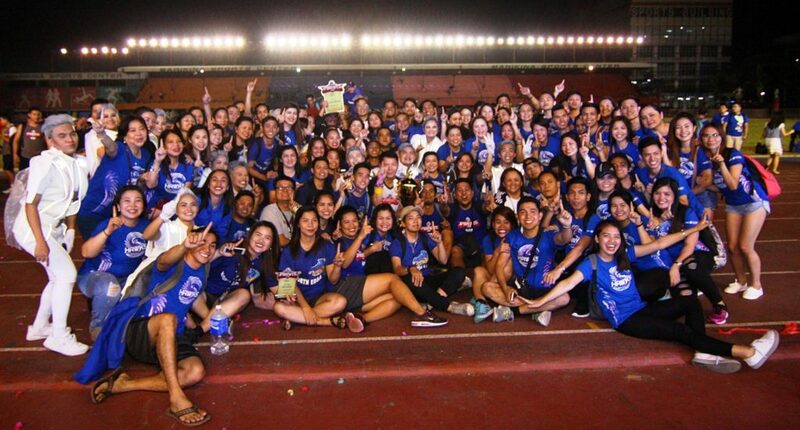 SM officials and employees recently gathered to celebrate the spirit of sportsmanship, teamwork and healthy competition during the annual SM Sportsfest. As it had been during the past years, the Sportsfest promoted physical fitness through two exciting and fun-filled events, the SM Fun Run and the Mini Olympics. SM Retail Inc. Director Jorge Mendiola and The SM Store President Chelo Monasterio graced the Sportsfest together with SM EDD Corp. & Security Affairs SVP and Sportsfest Committee Chair Antolin Paule led this fun event along with the different participating teams. 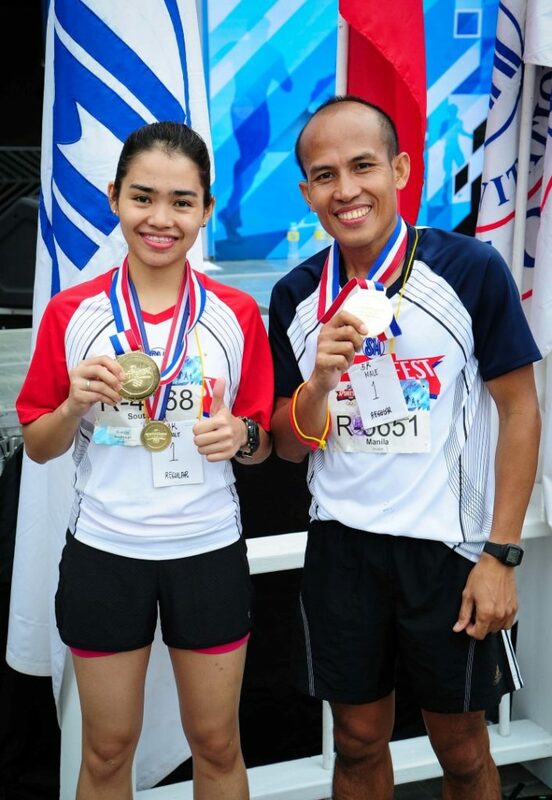 The SM Fun Run, which was held at the SM Mall of Asia Complex, brought together the best runners from The SM Store’s branches in Metro Manila and Bacoor, as well as its Head Office in Pasay. A record-breaking attendance of 3,000 employees ran for health in the Men’s 5.6K and the Women’s 3K races, dashing from the business park’s Simbahan Drive to the Seaside Boulevard near the bay area. 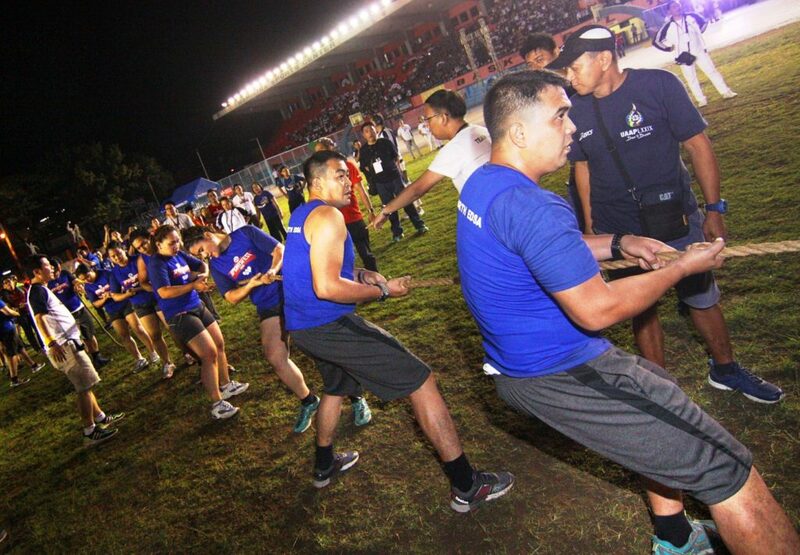 As the runners competed, other SM employees had fun at the body jam activity at the SMX open parking area. 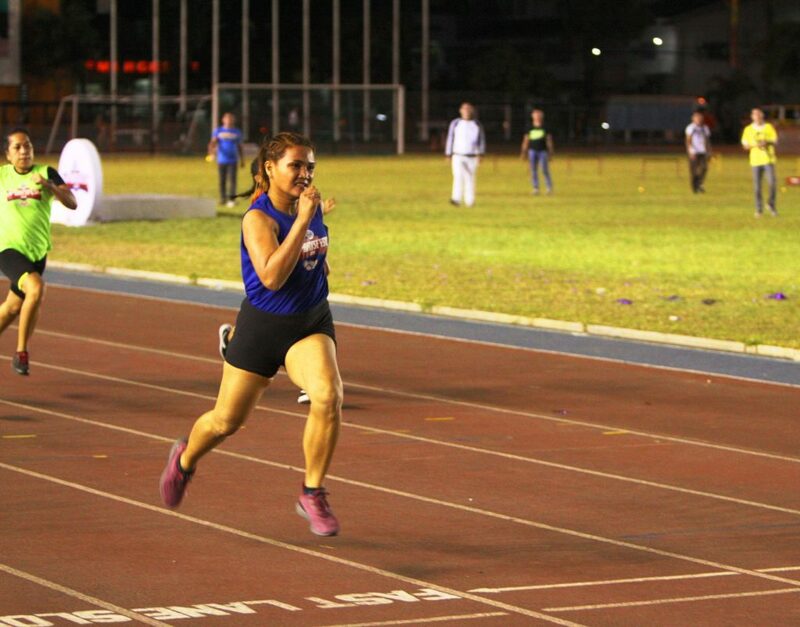 Mary Rose Naza of the SM North EDSA Hawks sprints to victory at the 100-meter dash female category. 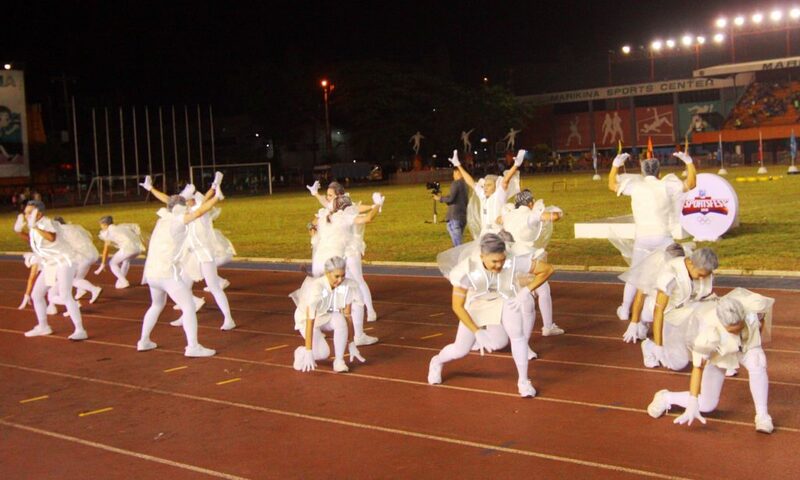 The SM Mini-Olympics, on the other hand, was held at the Marikina Sports Center, turning employees into track superheroes in events such as the men and women’s 100-meter dash, where Nomer Carpio of SM Bicutan — for the 3rd year in a row, and Mary Rose Naza of SM North EDSA bagged the gold medal for their respective teams. Another highlight was the sack race where the Manila King Cobras rose to the challenge and retained their first-place finish. The Marikina Krocs meanwhile leaped to victory at the Obstacle course. The North EDSA Hawks, who won team events like the 8x50m relay and the very engaging tug-o-war, emerged as the overall champions, taking home the Mini-Olympics trophy for four straight years. The Manila King Cobras took second place and the MOA Bay City Blue Sharks received third place honor. 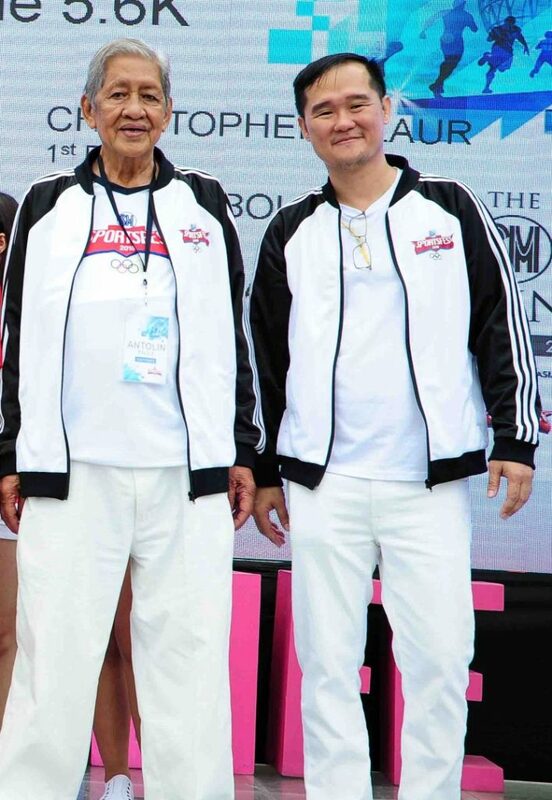 SM EDD Corp. & Security Affairs SVP and Sportsfest Committee Chair Antolin Paule and SM Shoes and Bags SVP Eugene Saw during the SM Fun Run. A Street dance competition meanwhile showcased the creativity and talent of SM employees. D’ Next Level group of SM North EDSA, SM Novaliches, SM Cubao and SM Fairview got the judges nod for the best choreography and show-stopping dance execution, musicality, and styling. Capping the festivities was a special performance by SM Woman brand ambassadors Bituin Escalante, Radha and Frenchie Dy, engaging all the teams for a celebratory dance. The SM Fun Run and Mini-Olympics 2018 are some of the many exciting events SM holds for its employees.